Hidden in the desolate woods on the Central California coast, lost to time and memory, is a WPA mural unlike any other created during the 1930s. This one was not simply fashioned from charcoal and paint; it was crafted out of undying evil--the evil of an ancient demonic army called Legion. 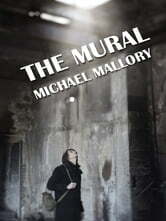 When structural inspector Jack Hayden stumbles upon the mural in a ruined civic building, he tries to convince himself that it might add to the crumbling structure’s value. But that note of hopefulness is quickly replaced by terror as the mural spreads its cruel, nightmarish horror over Hayden and everyone in his life. Soon he's leading his own attack force made up of those who have managed to fend off the evil of the mural in their souls, but now must do so in physical terms...or die trying. The fictional debut of a new master of horror fiction!